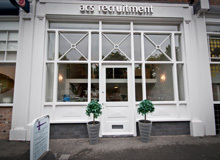 Liverpool businessmen have called the ECHO to offer interviews in response to plea for work. Kind-hearted Liverpool people have come forward to help a homeless man whose desperate plea for work is going viral on social media. 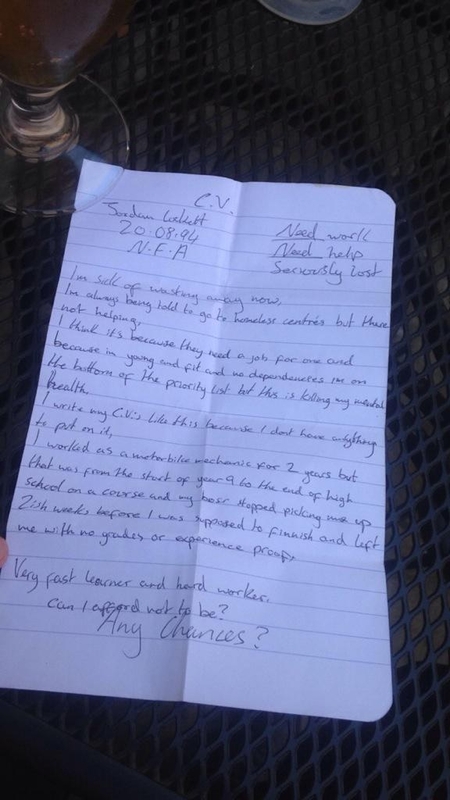 Earlier this evening, the handwritten CV of a man, believed to be called Jordan Lockett, was tweeted by Twitter user @AaronTDCC who met the 20-year-old homeless man around the Heathfield Street area of Liverpool city centre. After the ECHO shared the story of the Merseyside man’s quest to help the homeless youngster, several Liverpool businessmen and came forward to offer their support to give the lad the break he might need. The owner of Albert Dock restaurant What’s Cooking, Lee Brennan, called the ECHO to offer Jordan an interview. Lee said: “My wife saw the story on social media and it touched a chord in both of us. Jordan’s CV, written in biro, reads: “Need work. Need help. Seriously lost. Liverpool man Frank Johnson who runs claims management company, Claims 4 You, in Knowsley, said he would give the youngster a start in their office. Now, we need your help to contact Jordan and let him know the overwhelming support from the people of Liverpool.